This 120 bedroom Express by Holiday Inn Strathclyde Park M74, JCT.5, is an ideal place for both Corporate and Leisure clients, offering ensuite accommodation including Complimentary Continental Breakfast and FREE Car Parking spaces for upto 120 cars. 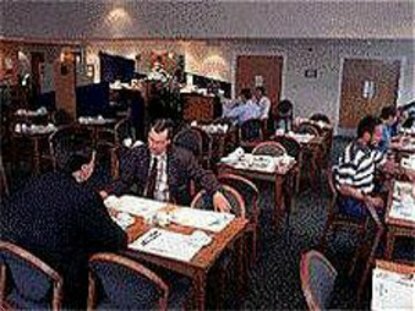 Located on Jct 5 off the M74 The Express By Holiday Inn Strathclyde is within easy access to Strathclyde Business Park and Motherwell Food Park. Hamilton and Motherwellare within 5 minutes driving distance from the Hotel. Glasgow Airport is a 35 minute drive and Edinburgh Airport is a 45 minute drive from the Hotel.The Hotel is close to numerous attractions, such as Strathclyde Country Park with its Watersports centre, country walks and purpose built M & D's Theme Park (open all year round with FREE entry). Other places of interest are David Livingston Centre, the Time Capsule Leisure Centre and a Golf Course just 1.5 miles away. Glasgow City Centre is just a 25 minutes drive from the Hotel and easily accessible to Gleneagles and St. Andrews Golf Courses . There is a Bar/ Lounge available for resident guests from 11am to 3am daily and 2 Meeting rooms for upto 30 people offering all audio / visual equipment and business facilities.